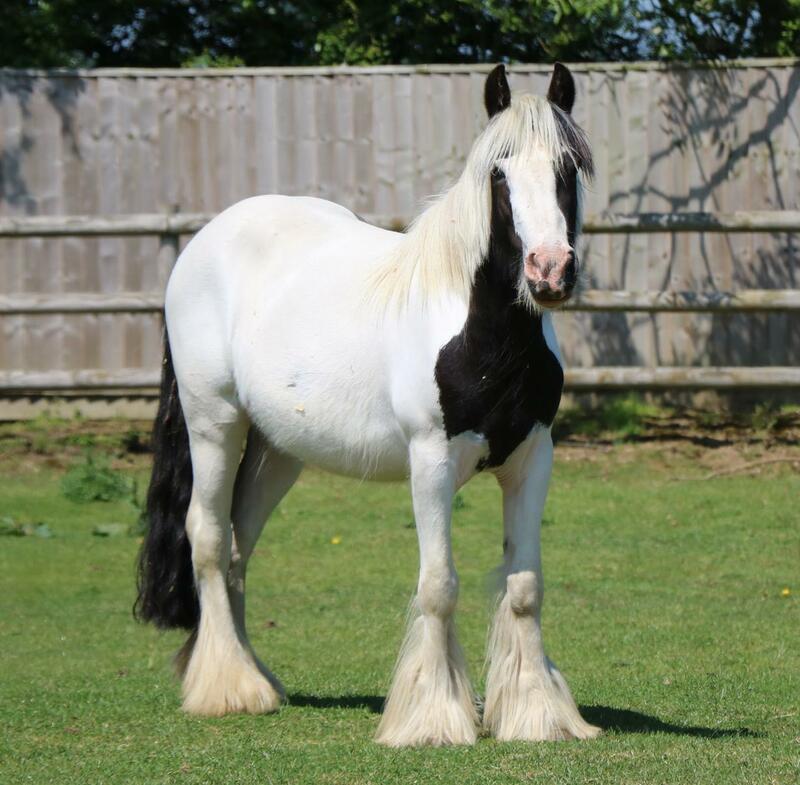 Serenity arrived at Bransby Horses in January 2018 at the request of the RSPCA and the Police as it was evident, following veterinary opinion, she was suffering and her welfare was compromised. Serenity was reported on a cold winter’s day after she had been found collapsed in a field and unable to stand by herself because she was so weak; she had a Body Condition Score of only 0.5 out of 5, was severely dehydrated and hungry. The External Welfare Team loaded her onto the lorry to bring her to the charity and she collapsed again. She was taken straight to the Intensive Care Unit (ICU) where a winch was used to help her to her feet. 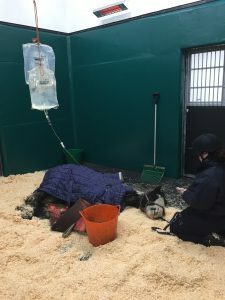 Laying down for long periods of time can be dangerous for a horse’s internal systems so frequent lifting was imperative and required a lot of staff time, even through the night. When Serenity arrived at the ICU she was given pain relief, fibre food to reintroduce food into her system and drip bag to support her rehydration. 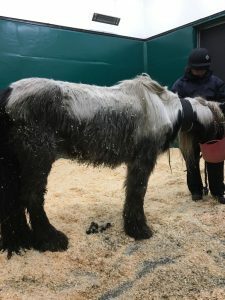 It was clear that a major contributing factor to her poor health was due to an internal parasite infestation, which is something the charity has seen far too often but could be easily avoided with a sensible and affordable treatment plan. The main aim was to build up Serenity’s strength through a sensible diet so she could stand unaided, which was thankfully successful. She has experienced some ongoing health issues since her arrival including liver dysfunction that required targeted treatment, however it is now managed appropriately. Despite her ordeal of needing help to stand, numerous veterinary examinations and treatments, Serenity has taken it all in her stride and has grown to be a confident and loving mare that staff have enjoyed caring for. She has now started her life on the Main Farm and has been signed over to the charity’s care permanently. On this occasion we are unable to discuss the decision made by the courts but we are pleased to offer Serenity a safe and secure future. Bransby Horses would like to thank the staff at the Animal Reception Centre (ARC) for their care and dedication they put into Serenity’s recovery and rehabilitation, as well as kind supporters who have donated as both have been imperative in improving her life and welfare.